Grier is located about 30 miles from the town of State College, home to the Pennsylvania State University. 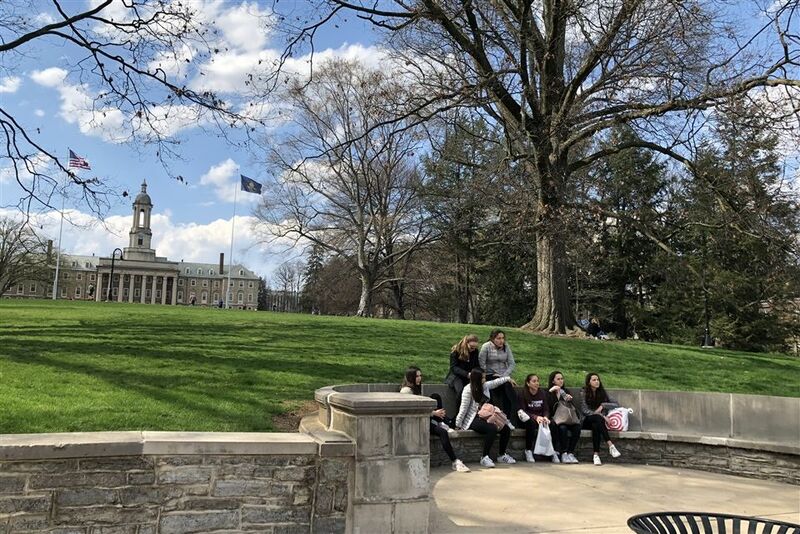 As a college town, State College provides Grier girls with entertainment and cultural experiences galore, including theatre, lectures, and ethnic restaurants. A trip to downtown State College, with its streets of boutique shops and local restaurants, is a popular weekend trip for Grier girls. The main lawn of Penn State’s campus abuts the downtown shopping district and makes for a great place to relax. State College is home to the Pennsylvania State Univesity. 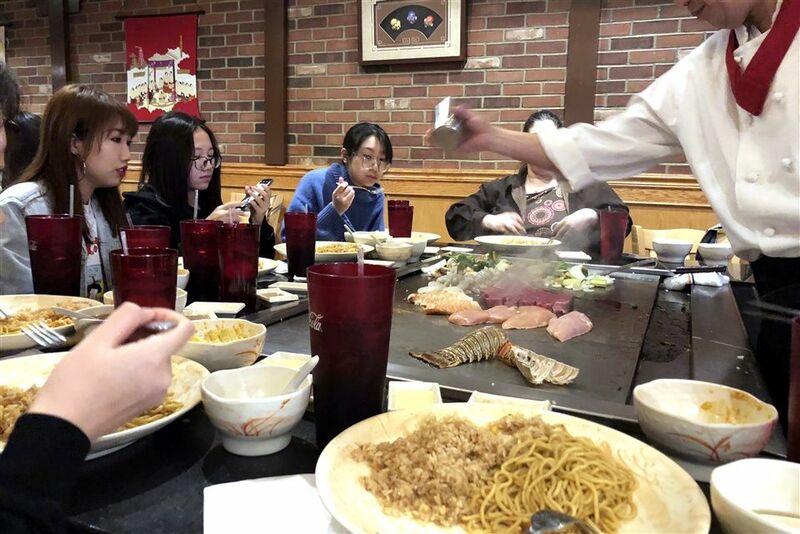 A group of students enjoys hibachi style dinner in State College.